At five minutes to five, two Swindon Town supporters were stood outside the visitors turnstiles on Midland Road, with the world on their shoulders. The pair looked shell-shocked, devastated and heartbroken. The colour had drained from their cheeks. Football can be a very cruel game. Rewind 10 minutes earlier, and they and a smattering of other Swindon supporters would have been gnawing their nails whilst watching their team attempt to hold on for the most unlikeliest – and very possibly season-changing – of victories. Scoring late on through Nicky Ajose – one of only five shots Swindon had to the home side’s 23 – they suddenly had renewed hope of avoiding relegation. Swindon were heavily under the cosh, but the clock was running out and frustration in the home sections was building. Tony McMahon had the chance to cross with seven team-mates in the box, but only managed to boot the ball high into the Kop. A flurry of groans and swearing was directed his way from supporters. 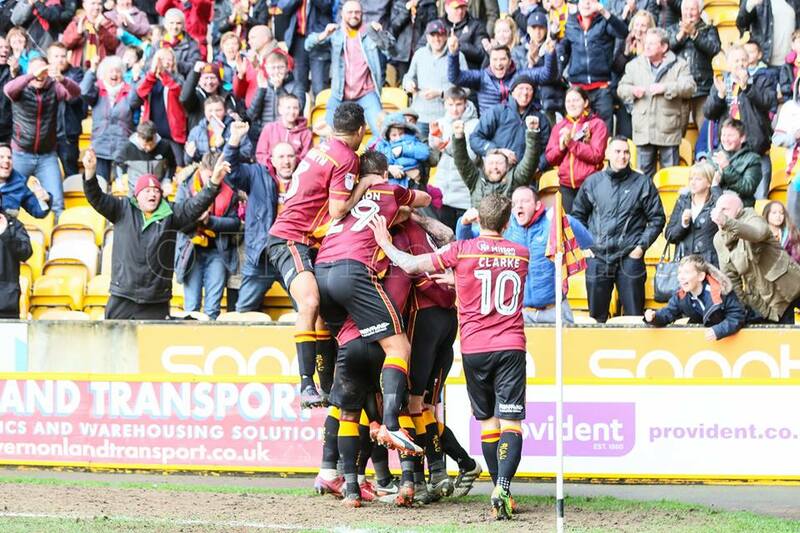 Bradford City had seemingly self-imploded. But football can be a truly special game. Step forward Charlie Wyke. Bradford City’s most expensive signing since the Premier League turned this game on its head. Whisper it quietly but the January capture from Carlisle was on his longest goal drought since October. Three games had passed without his name appearing on the scoresheet. And though he had battled manfully and hit the post, the 24-year-old spent much of the afternoon struggling to escape his marker and looked set for another blank. But goalscorers – and Wyke is undoubtedly one – are never quiet for long. With 85 minutes on the clock, Wyke got on the end of Mark Marshall’s excellent cross to powerfully head home the equaliser. 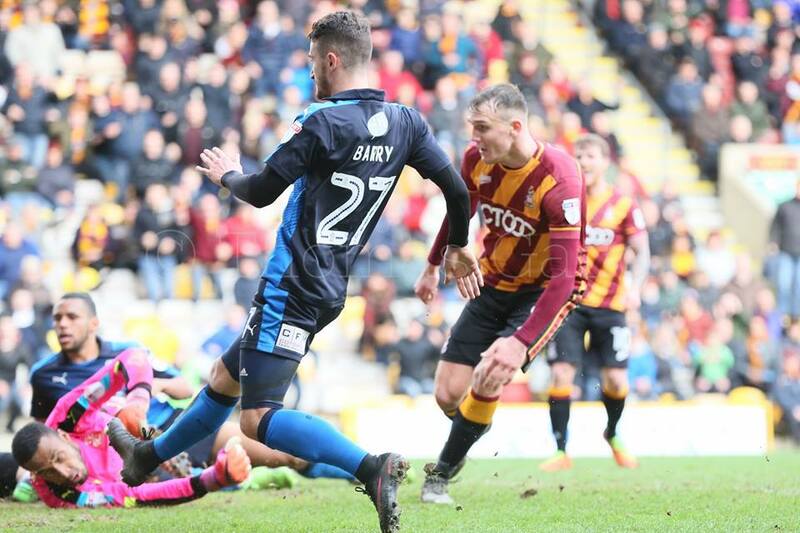 It was no less than Bradford City deserved and would ensure they continued their unbeaten home record. But with other League One scores going against them, a draw still wasn’t really good enough. The board had gone up for stoppage time when Marshall got free on the opposite flank. This time he sent over a low cross that substitute Alex Jones attempted to prod home. The ball ran free. Wyke showed wonderful feet to engineer room for a shot, and remarkable composure to bide his time for a crucial split second, before slotting the ball into the net. Cue pandemonium amongst 17,000 home supporters, the level of which probably hasn’t been reached since the FA Cup heroics of two years ago. Wyke was mobbed by team mates as he celebrated by the corner flag. Thanks to Wyke, Bradford City are up to 4th in League One again, with the automatic spots still reachable. Swindon Town are seven points from safety with only seven games to play. The two sides above them have games in hand. It is still relatively early days, but what a terrific signing Charlie Wyke is proving to be. He has a poacher’s instinct, is good in the air and with the ball at his feet, and has genuine intelligence. It is games like this that will quickly see Wyke rise into City folklore. The first thriving out and out goalscorer since Nahki Wells. There were even whispers of scouts being present to watch him. It was a remarkable afternoon. For Stuart McCall, there was so much to beam about in the way his team refused to accept defeat and found the character to come back and win. That moment when Tony McMahon had messed up a cross, and the crowd turned on the team, could have been the end of them – for the afternoon at least. In my book Reinventing Bradford City, McCall talks about how the infamous 2008/09 collapse was partially triggered by fans turning on the team in an away match at Notts County during the run-in, which the players struggled to recover from. Greater symbolism can be found in the fact it is almost exactly nine years to the day since City were thrashed 4-1 at Bournemouth in that season, prompting McCall to threaten to resign if the Bantams didn’t make the play offs. The wheels fell off spectacularly over that period, and some doomsayers had been predicting a repeat this season too. So far at least, that hasn’t happened. To date, this team have showed they are made of much sterner stuff. It could take them a long way. 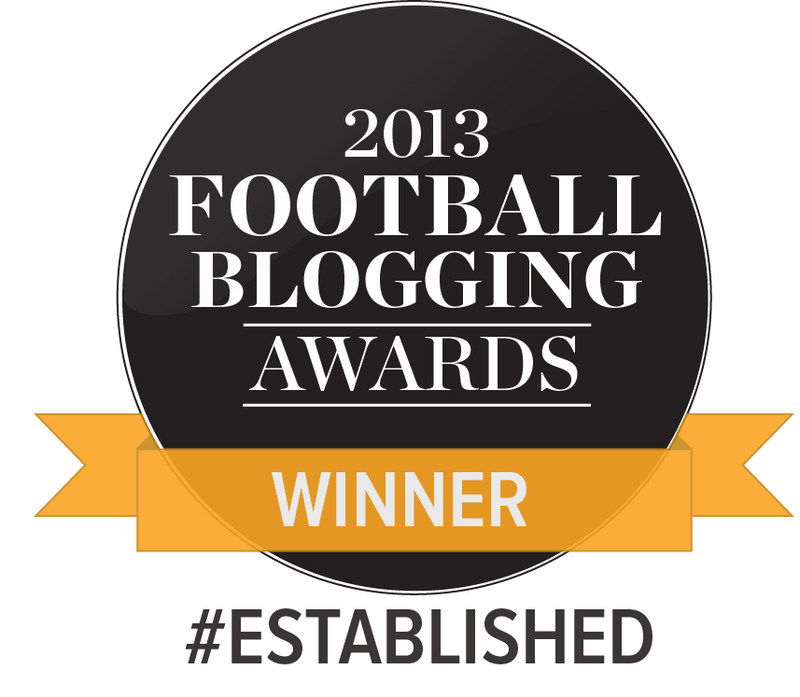 And the manner of this victory will only boost team spirit. They didn’t deserve to lose to Swindon Town; but without Wyke’s two-goal heroics there would have been boos and fierce criticism at full time. This was the kind of match that – when you assess the fixture run-in – everyone ticks off as a guaranteed three points. Even accepting City habitually make a mockery of such expectations, this would have been a damaging loss. McCall sprung a surprise by adopting a 3-4-3 formation that saw James Meredith and Tony McMahon playing as wingers either side of Josh Cullen and Timothee Dieng. Behind them were three centre halves, with Romain Vincelot dropping back to play in-between Nathaniel Knight-Percival and Rory McArdle. Jordy Hiwula and Mark Marshall flanked Wyke up front. And it worked, but it also kind of didn’t. In wide areas City were very strong. Pushing Meredith and McMahon up the park enabled them to link up effectively with Marshall and Hiwula, and they routinely doubled up on Swindon full backs to get the ball into a crossing position. Yet when they did swing it over, there simply weren’t enough bodies in the box to get on the end of things. City bossed possession and had Swindon pinned back. The Robins’ perilous position meant they had to win the game, so they attacked with purpose too; although for the most part they had to rely on the counter attack. In every area of the pitch bar one, City completely dominated. But that one exception was the Swindon box, where Wyke was too isolated. It became a game of City crosses. High ones, low ones, zippy ones, hanging ones. And plenty of corners too. But invariably the crosses would miss everyone, or be cleared, with only a few leading to opportunities on goal. There is a lot of academic thought out there that crossing is the least efficient way of scoring a goal. Perhaps the best example was the infamous Manchester United vs Fulham match in February 2014, where David Moyes’ beleaguered side produced a record 81 crosses but failed to win. At times here, Bradford City proved the point that crossing can be ineffective. The approach play was a joy to watch, and it suits Hiwula and especially Marshall to play up front but in wider positions. But despite the best endeavours of Dieng and Cullen to support Wyke in getting into the box, Swindon were able to thwart most of the crosses that came in. At least until the final five minutes. By that stage, McCall had tweaked the approach to a 4-2-1-3 formation in a bid to make City more potent, Billy Clarke and Alex Jones replacing Hiwula and Dieng. It was a smart piece of management, aided by strong performances from his substitutes. Indeed this was by some distance Jones’ most impressive showing since his January move from Port Vale. He displayed much greater strength than previously offered, and has mastered the art of giving the marker the slip through a curved off-the-ball run into space. His turn and shot with his back to goal that flew just wide was a breathtaking piece of brilliance. He deserved a goal. And Clarke too – for all the recent lack of form – was back towards his best. He played in the hole behind Jones, Wyke and Marshall, with McMahon and Meredith back to full back and Vincelot pushed into midfield alongside Cullen. The City captain was a lot more effective further up the field, and has so much to offer. Despite the unrelenting pressure, it was Swindon who scored completely against the run of the play. The celebrations in the visitors’ dug out told its own story of what a big moment it was for the Robins. But there was a very late and very painful sting in the tale. This was Charlie Wyke’s day. By the time of City’s next game – the mouth-watering trip to Scunthorpe United a week Sunday – Bolton, Millwall and Oxford will have played twice, and Fleetwood, Southend and Bristol Rovers will have also been in action. The league table on the morning of the Scunthorpe game will go a long way to telling us what the priorities should be over the final seven games: namely if the automatics could still happen, or if it’s just about cementing a play off position. Whatever the objective, the club go into that televised encounter in buoyant mood. And with the highly potent weapon that is Charlie Wyke. Spot on with the write up. Wow what a game. At one point i felt dejected and the next elated. All in the space of 10 mins!! A few points I’d add. Thought the double sub’s made the difference. Alex in particular looked like he meant business. He got rugby tackled before Charlie put the winner in. Swindon’s blatant manhandling of our players in their box was a consistent theme throughout the game. For me it’s Charlie and Alex upfront for the rest of the season. Billy as you say also made a big impact. Maybe he had a point to prove after Tuesdays game. As for the winner, Charlies coolness to take an extra yard before tapping the ball into the net shows you exactly why he’s the really macoy. So many of our other past strikers would have hit the loose ball first time and hoped it didn’t deflect over. The atmosphere was flat until we went behind. Lots of frustration with out inability to put this team to bed having had them on the ropes for so much of the match. I guess that is why dozens left after we went 1 down…. But boy the scenes at the end for me were the best this season. With us in the business end of the season let’s hope for more ending like that! Charlie’s finishing reminds me a bit like the old Jimmy Greaves, in the way that he anticipates and his composure/confidence in finishing. Yes, he may go quiet for periods, but as long as he is on the pitch he can (and will) change/win games. Anticipation in a striker is a rare trait, and was/is what Nahki Wells also has in abundance. You either have it, or you don’t. The way he dragged the ball back before shooting made the goal for me. Had he hit it first time I think it could have well got blocked with all the bodies in front of him. To see the opportunity and set himself up in a split milli second, convinces me he is a predatory striker, not a hit and hope. His all round game is also very good, (heading/hold up play/pass and move) and we have to give massive plaudits to Greg Abbott for finding him and getting the deal over the line (along with James Mason/owners etc for funding the deal). If we do not progress this season, I really think we can make a serious push next season and to be honest, wasn’t hoping for too much this season after the Parkinson walk out anyway, so are ahead of where I expected us to be. Things are starting to look good, very good. The final few minutes summed up the team spirit and just what their objective means to everyone involved. From the dejection of seeing the redirected ball slot into the City net, to the elation of the two Charlie Wyke goals and euphoria of the full time whistle, it encapsulated all that is good and bad about this team. The strengths, frailties and dogged determination. It’s never easy being a City fan. An emotional roller coaster experience, but one I’m proud to witness and feel part of, good and bad. There have been times when some of the (too many) draws have felt like a defeat. Yesterday, however, it felt like using a ‘ get out of jail free ‘ card. Ironically, if Swindon had been content to settle for a 0 – 0 draw, they may well have got away with it. Scoring the goal only caused City to increase their intensity and determination to win, much to their credit. If City had managed an early goal, then I think Swindon would have imploded. They looked a very poor side in the first half, low on confidence and no real attacking threat. How we contrived not to score 4 or five goals in the first half is a mystery and typified some of failings of this season. Still, all’s well that ends well. Absolutely delighted with the signings of Wyke and Jones. I hope Jones can continue for the rest of the season without any more injuries/illness. They look like a potent pair in the making. And whilst I had a lot of time for Big Jim Hanson, I think that Wyke is a definite improvement. I’m not sure that Hanson would have scored the second goal, Wyke showing quick feet and a predatory awareness. Yesterday was a very special one as a City fan. It’s rarely easy watching them from the stands. The emotional roller coaster yesterday reminded me of Leeds at home in the FA Cup. The dejection and deflation, watching the ball trickle into the City net after so many promising offensives of our own had come to nought, despite totally out gunning the opposition. It was a true show of intent couples with grit, determination and the will to win that got us back in it. The elation when Charlie Wyke slotted the second home was palpable and sent everyone concerned into raptures. It certainly was no more than City deserved, but how many times we have previously deserved the win and unravelled made it even more euphoric. It’s often not easy being a City fan, the extremes are sometimes almost unbearable, but yesterday was a happy reminder of why I feel so proud to be part of a special club and why I will be, City till I die! Your comments on the presence of scouts, potentially watching Charlie Wyke are interesting. Possibly (unless you say different, Jason!) wild gossip…But if they were, what future for Charlie Wyke? I’ve been wondering since last August how our German owners get their return on their £6m. Clearly in the short term not via tickets sales, nor, by my guess merchandise and the rest of that side. I think potentially they are looking to buy young talent, bring them on & sell on for a profit eg Daniel Pybus signing. Will this include Charlie W in 12 months, when his valuation has rocketed? Will he already have a release clause as early as this summer? I think that Wyke, Meredith, Cullen & maybe Marshall won’t be League 1 players next season. Hopefully in the championship with us…. Some good, valid comments, but just a couple of words about the ref – we won so not “sour grapes”. Frankly he was poor and inconsistent. two or three quite bad fouls by Swindon early on (how the first minute tackle on Marshall was not considered a booking is a mystery), similar indiscretion by Meredith yellow card! Several incidents of high/dangerous feet punished, but by far the worst (on Marshall) was ignored. No point going on, got it of my chest – but I thought he was awful. Very well put, Jason. I would like add a few points. 2. I thought Swindon showed how good Marshall is by trying to kick him out of the game in the first minute. The very inconsistent referee failed in his duty to stop such violent play. 3. I was amazed at how many spectators walked out when Swindon scored. They missed a treat, and deserved to do. 4. The discourteous behaviour of the Swindon goalkeeper when he brushed rudely past the young disabled fan who only wanted to shake his hand. I see he has recently been fined by Swindon for his attitude. The Kop saw this incident, and booed him as he deserved. 5. The pitch is bad. The wild kick by McMahon was caused by a dreadful bobble.